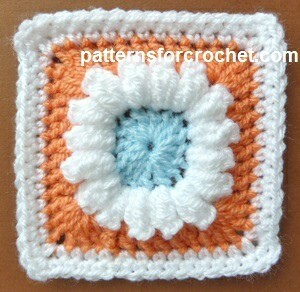 This pretty popcorn square measures 4.5″ across. It’ll make for a nice stashbuster and will look great in any blanket. You will need a DK yarn in three colors and a 4.5mm crochet hook.